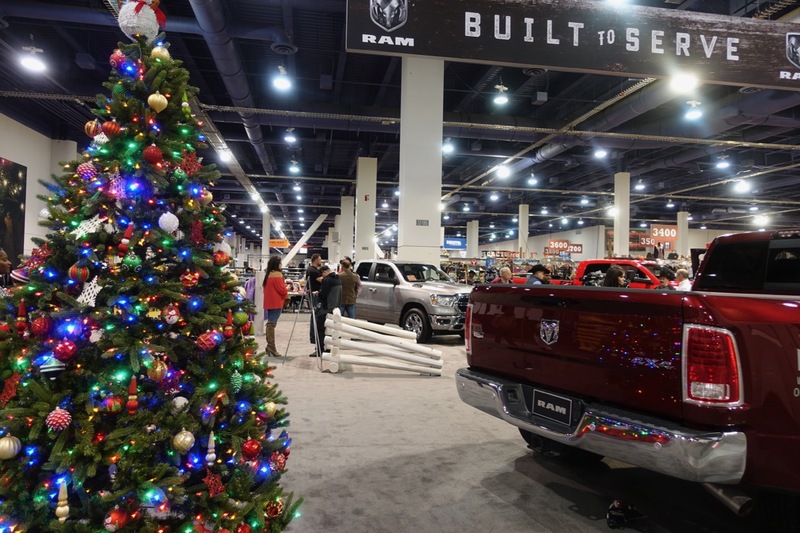 Greeting visitors to the Las Vegas Convention Center South Hall is this huge tree, background for many selfies. 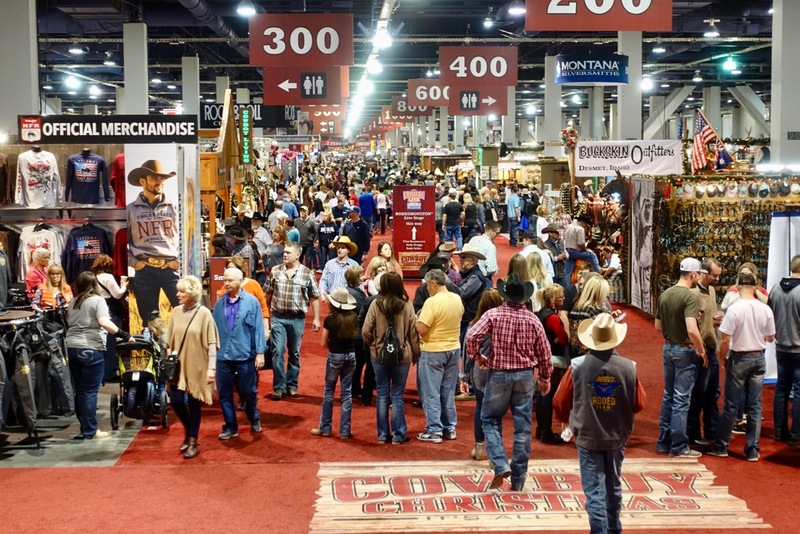 Come December, I LOVE the fact that the National Finals Rodeo is in town and huge Western-themed gift shows are all over town: at the Las Vegas Convention Center, the Sands Expo & Convention Center, South Point Arena & Equestrian Center and Mandalay Bay Convention Center. 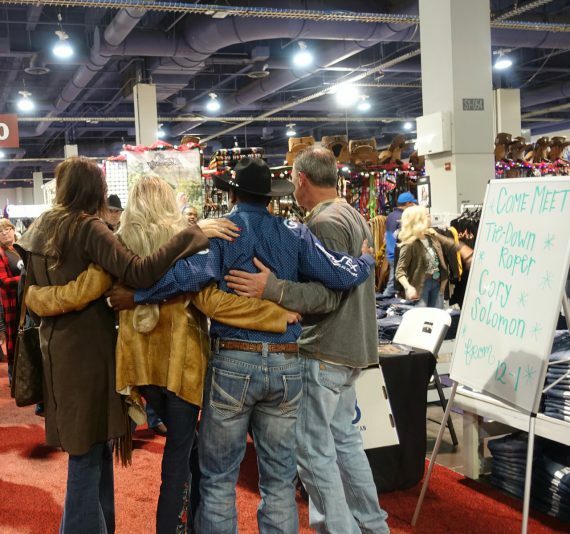 My favorite show is the 32-year-old Cowboy Christmas at the Las Vegas Convention Center December 6-15. My friend Gerri and I went to the show on Thursday. We parked a “fer piece” from the entry to the gift show, so exercise was one of the perks of our excursion. Of course, I filmed much of what I saw, though my video, sadly, was only partially recoverable due to a corrupted video card. Nonetheless, with the short video below, you should get the idea of the kinds of goods on display and the huge crowds. Among my missing video clips were several scenes of rodeo stars signing autographs for visitors and lots of videos of slim muscular men in tight jeans and cowboy hats walking the aisles. (The macho scenery all over town during the NFR is, to this female, delicious.) The lady cowgirls were dazzling as well, with sparkles and fringe and lots of leather. Incidentally, in today’s politically correct environment, I wonder if any consideration has been given to the very gender-specific word “cowboy”? 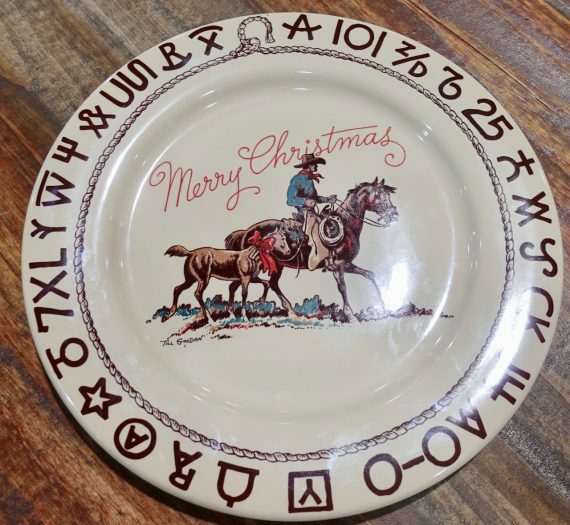 Somehow “Cowperson Christmas” just doesn’t have the same ring. 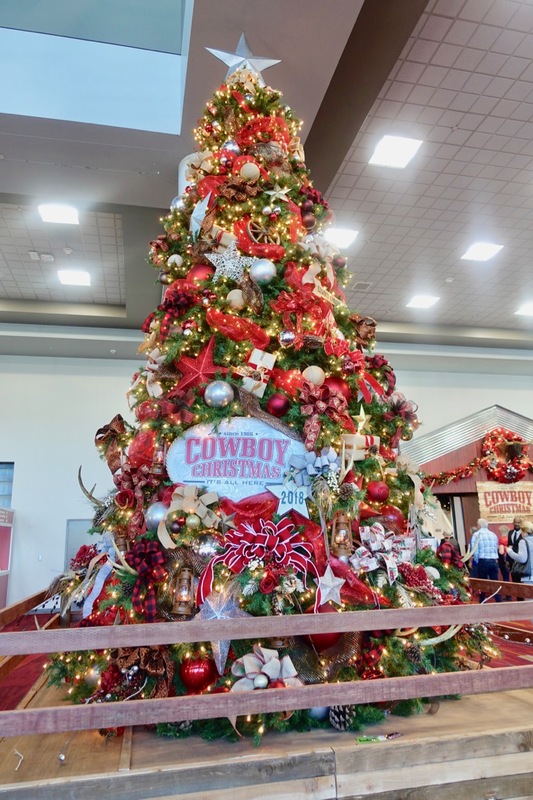 We are told that Cowboy Christmas had more than 300 exhibitors. They occupied the entire South Hall of the Convention Center on two floors. Products ranged from the very small to the huge. 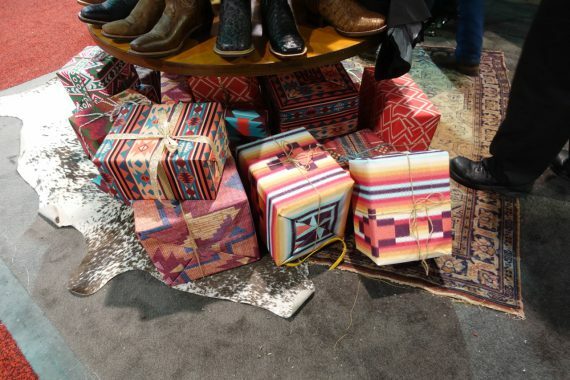 Though we didn’t see many shoppers with bags, we must assume a good deal of shipping activity took place and that the exhibitors do well during the 10-day show. They keep coming back year after year. God willing, this shopper and a perfect video card will return as well. In the meantime, here are a few photos of the show. The crowds at Cowboy Christmas number somewhere between 50,000 and 100,000 people. Admission is free (parking is not), and bag checks are routine. Products at Cowboy Christmas range from tiny holiday ornaments to large RAM trucks. Rodeo stars such as Cory Solomon (he’s in the black hat) pose with fans at the show. Western fans can wrap their gifts in attractive Western wrap. And finally a holiday message from a plate available for sale at Cowboy Christmas. Simply superb!!! Thank you, Diane…! Happy Holidays! !